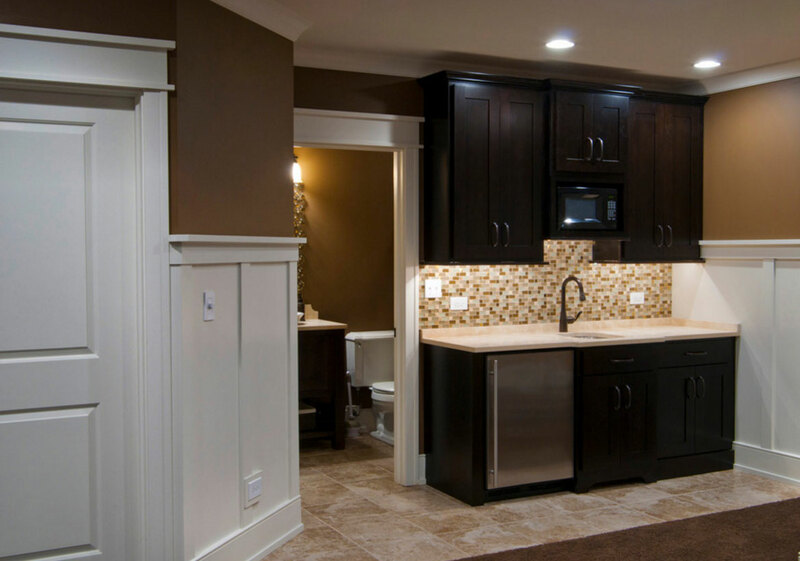 Basement kitchenettes are starting to gain popularity as more and more basements are turned into warm living areas. 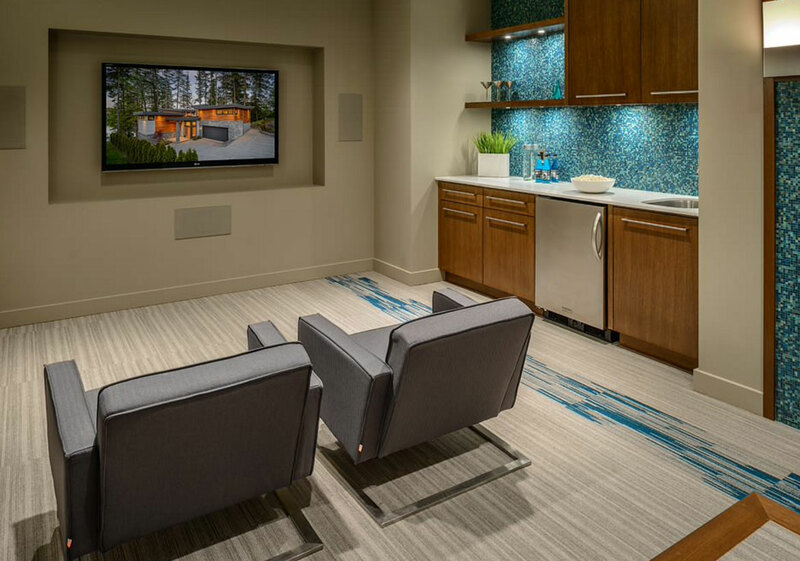 We are seeing many homeowners including a kitchenette or some type of beverage center in their basement renovation plans. 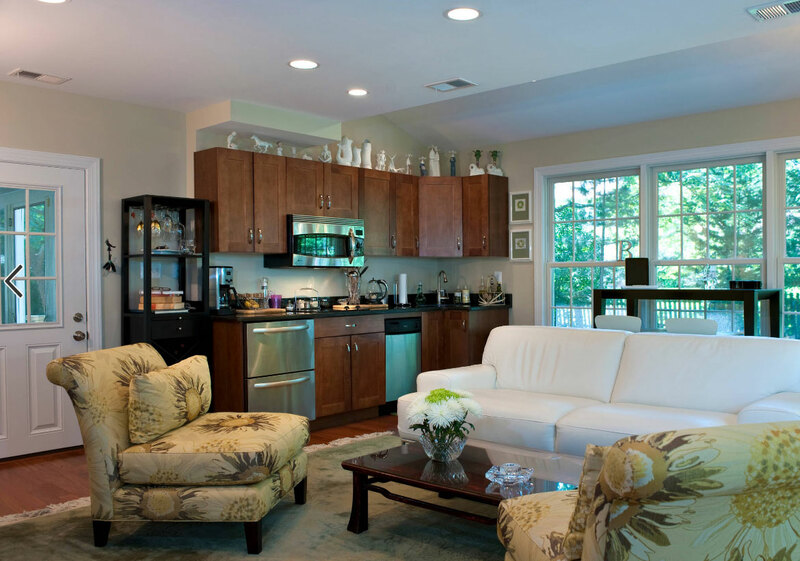 In almost all cases, a basement kitchenette is a small part of a larger basement living area. For example, you might have a family room in the basement with a kitchenette built at one end. Maybe you have a theater area with a kitchenette nearby where the family can enjoy some refreshments; or even a guest bedroom with a kitchenette–giving the occupant some additional privacy and saving them the trouble of using the main kitchen. 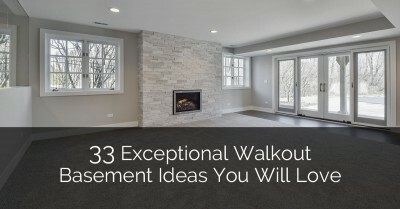 It could also be part of an entertainment area, or a basement bar or anything else you have in mind. 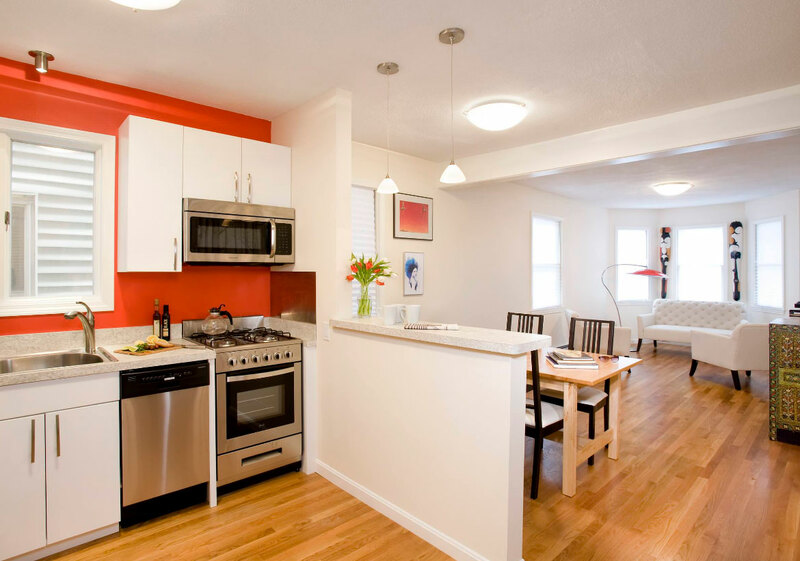 Before we delve deeper into this new trend, what is a kitchenette? It is a simple small kitchen used for basic food and beverage preparation activities. The most important part of setting up a basement kitchenette is the planning stage. Any successful home improvement project begins with thorough planning. It is important that you coordinate with a contractor early on. This blog will help you make the right decisions and save money right from the get go. First, what is the state of the basement? Finished or unfinished? 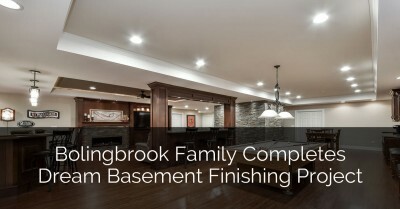 If you already have a finished basement, your work is much easier. It’s all a matter of designating a space for the kitchenette and setting it up. On the other hand, if your basement is still a catch-all for your old junk; there is plenty of work that needs to be done before you can even think of setting up the kitchenette. Ventilation – You cannot have cooking fumes and odors getting trapped in the basement. Proper ventilation is essential both for safety and comfort. Discuss with your contractor to determine which type of ventilation is best for your kitchenette. 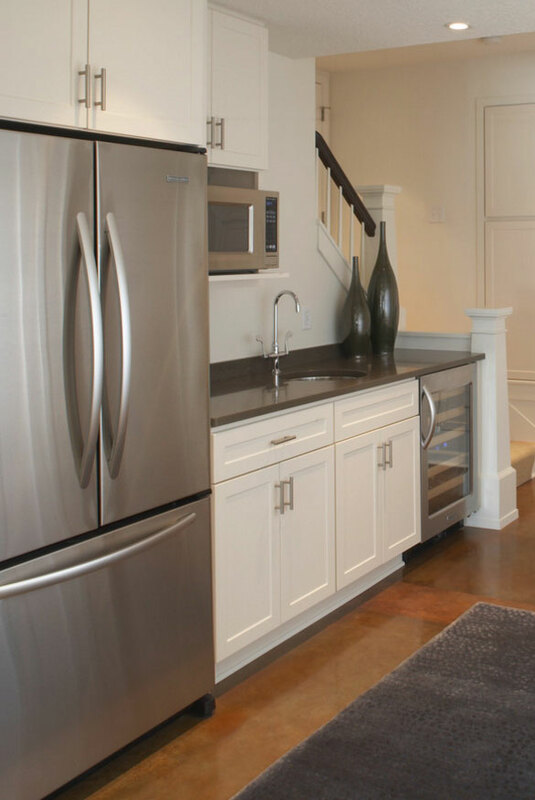 Safety – With a kitchenette in the basement, you cannot afford to take safety for granted. Find out what the local code is regarding basement renovations and take adequate safety precautions including sprinklers, smoke alarms and escape routes. Size – A kitchenette is by definition smaller than a standard kitchen. But there still are size variations among different kitchenettes. On the compact end, there are really small ones with the most basic of necessities: a small counter, a small wall cabinet and perhaps an appliance or two. It is small enough to fit into one corner of the basement. You can also go a bit bigger, taking up one end of the basement. Here you have a few more appliances and a larger working space as well as storage; but still not at the level of a normal kitchen. 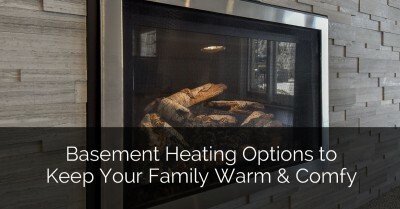 The right size will depend on your budget, family size and basement size. 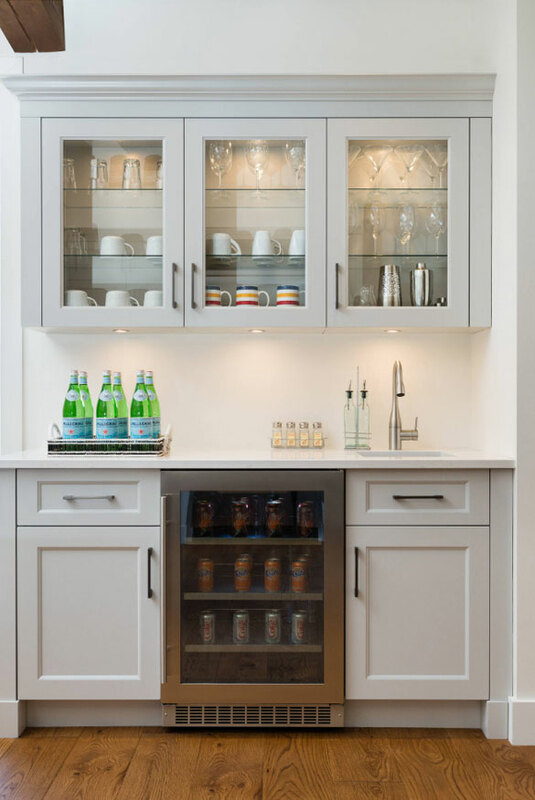 Storage – In a kitchenette, storage demands are not many. 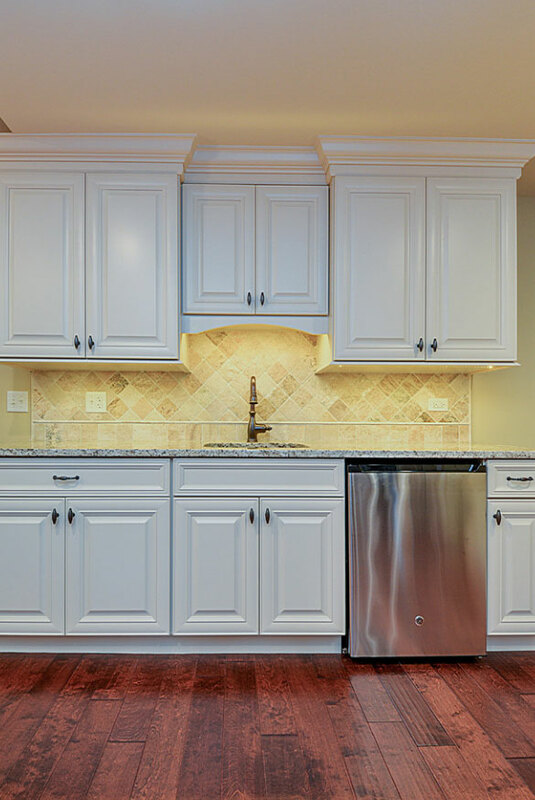 You can make do with a few wall cabinets combined with floor cabinets below the countertop. 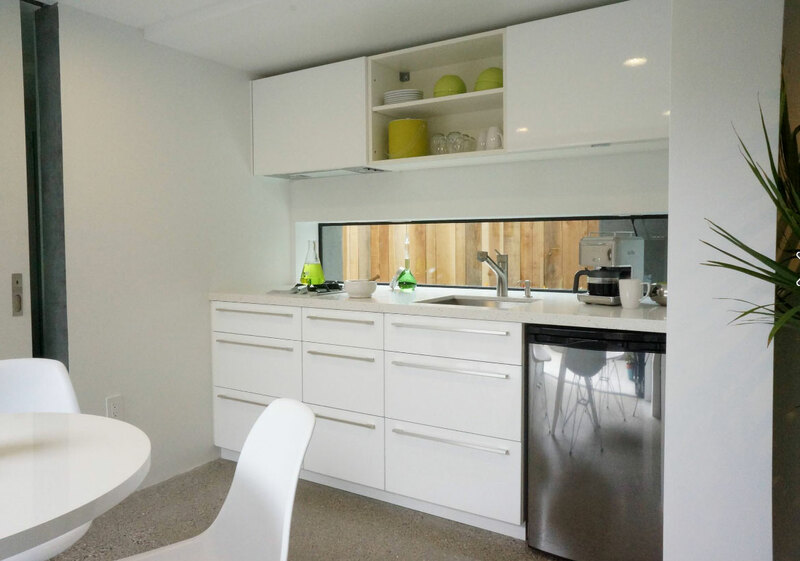 The amount of storage will depend on the size of kitchenette and how heavily it is used. If you use it to entertain friends regularly, more is better. 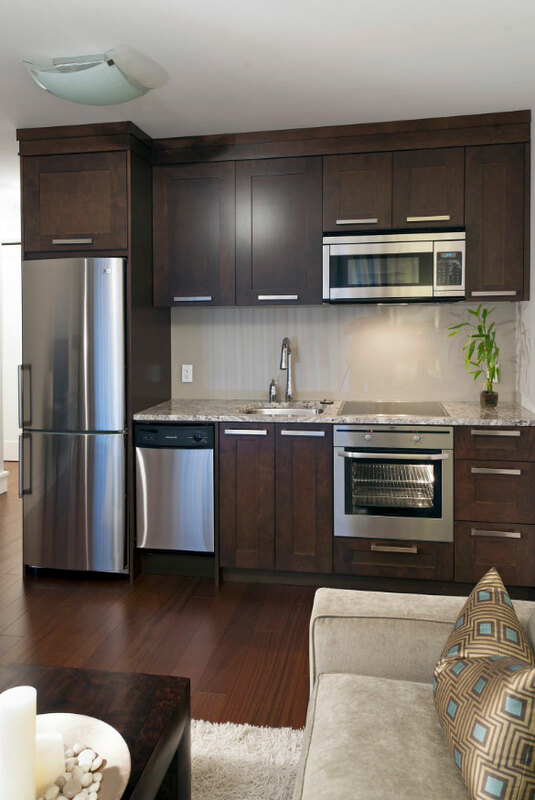 Appliances – Even a kitchenette needs appliances for proper functionality. The biggest challenge with kitchenette appliances is space. 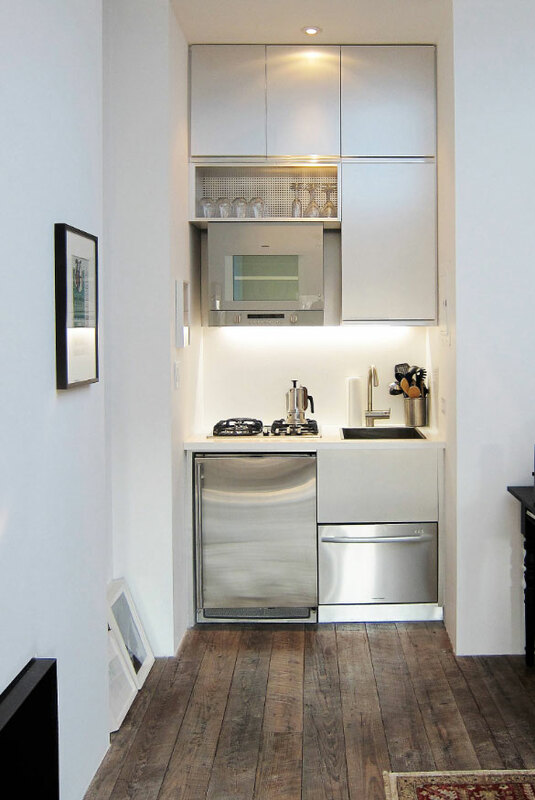 Most likely you will not have room for a full fridge, microwave, and oven in that small space. So decide which appliances you need most. Once you decide, buy them in smaller sizes. 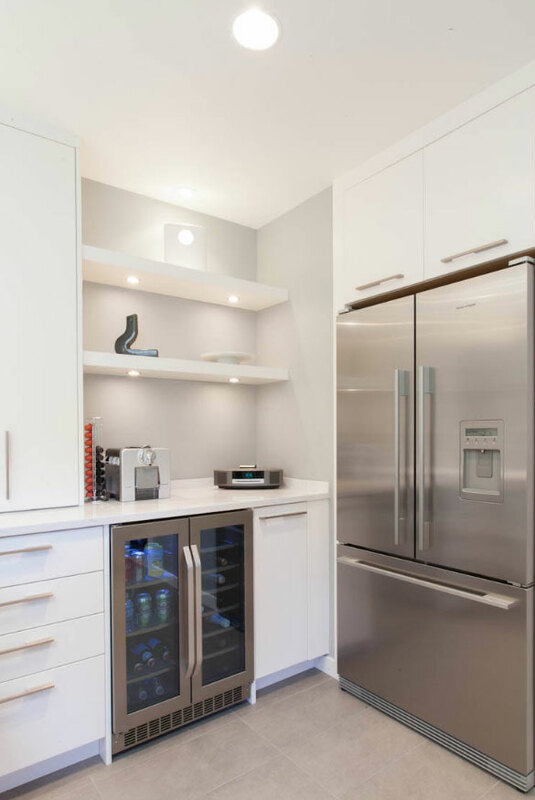 You can even get appliances like the fridge and microwave recessed into a cabinet to save space and create a cleaner look. We found some helpful information at Remodelista regarding smaller scale appliances. Dry Bar Vs. 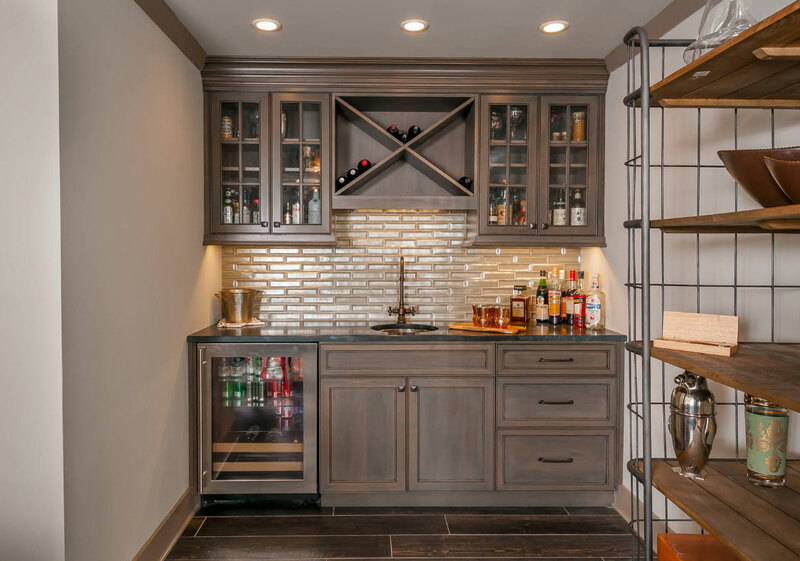 Wet Bar – A wet bar is defined as one with running water and a sink, however it does not always have to serve alcoholic drinks. A dry bar is simply a beverage center and has no running water. 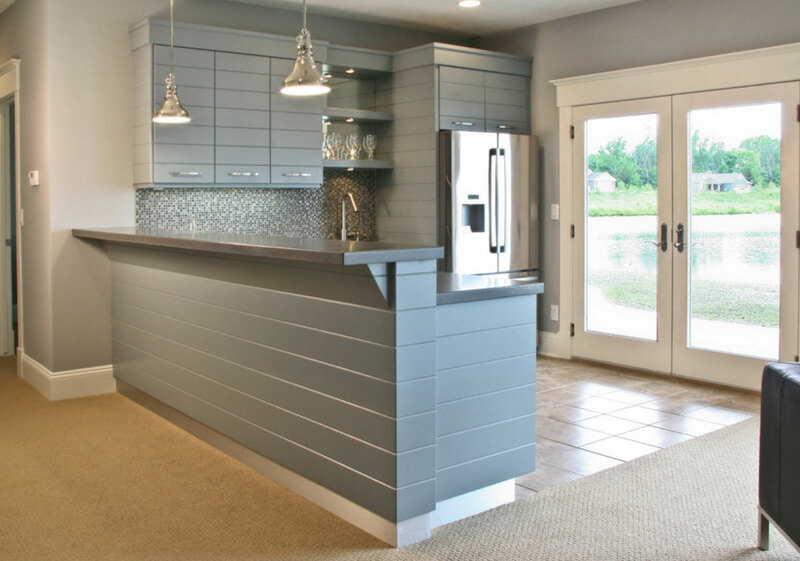 So who’s the winner between wet bar vs. dry bar? It all depends on your preferences and budget. 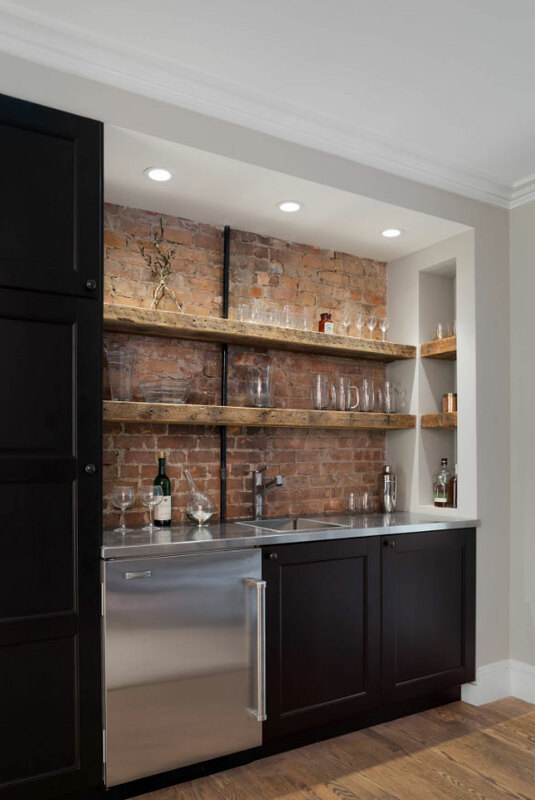 A wet bar will likely prove to be more convenient, but will be more expensive to build because of the plumbing required for the running water. Lighting – Finally, plan your lighting with both aesthetic and functional goals in mind. On the aesthetics part, decide what look you want–warm, elegant, cool etc. and use lighting to achieve it. You can also use puck and strip lights for decorative effect on various areas of your kitchenette. 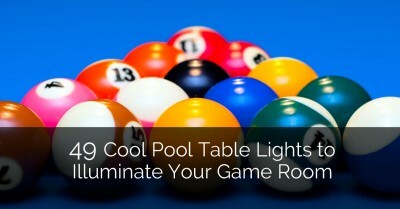 On the practical side, make sure the overhead lighting will provide adequate illumination. Add under-cabinet lights to further illuminate the working area. Take some time to look through our basement kitchenette round-up. 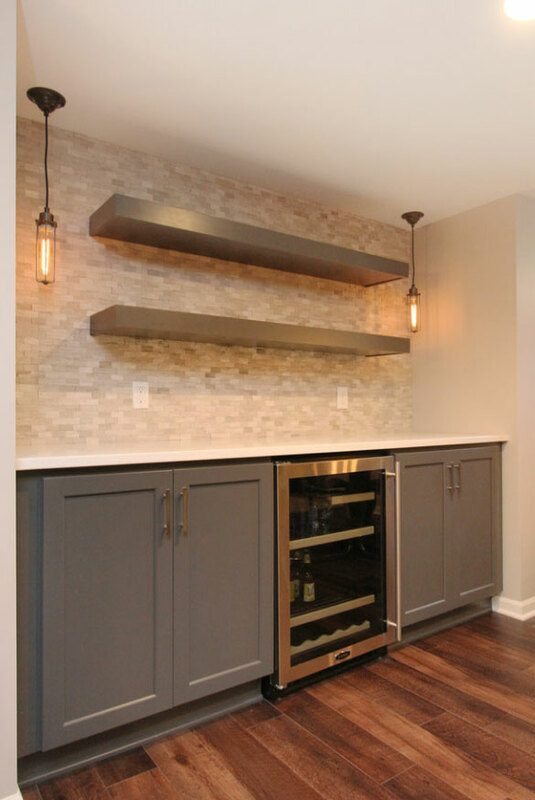 We’ve also included some photos of wet bars and other beverage/food preparation areas to help with the conception of your new space! This is all set and ready to go for the next movie night! You don’t need a ton of space to have something great-looking and functional. 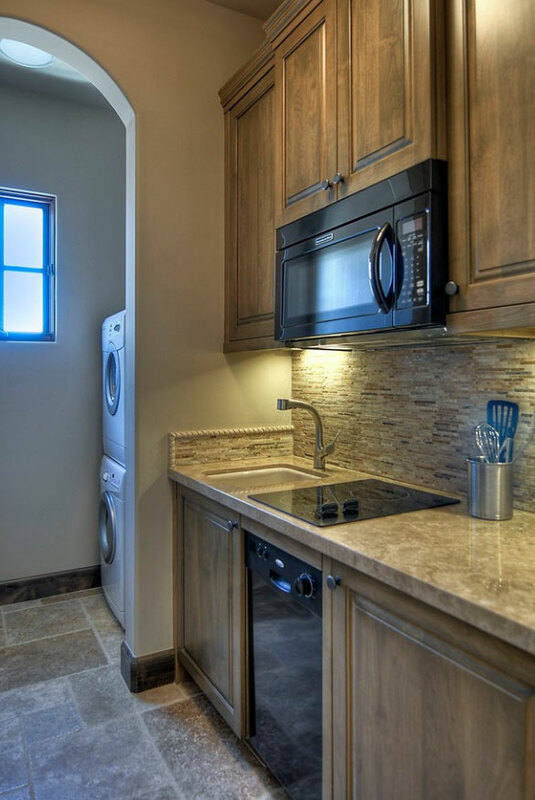 This kitchenette is a great extra area to have in a basement. You have everything you need here. 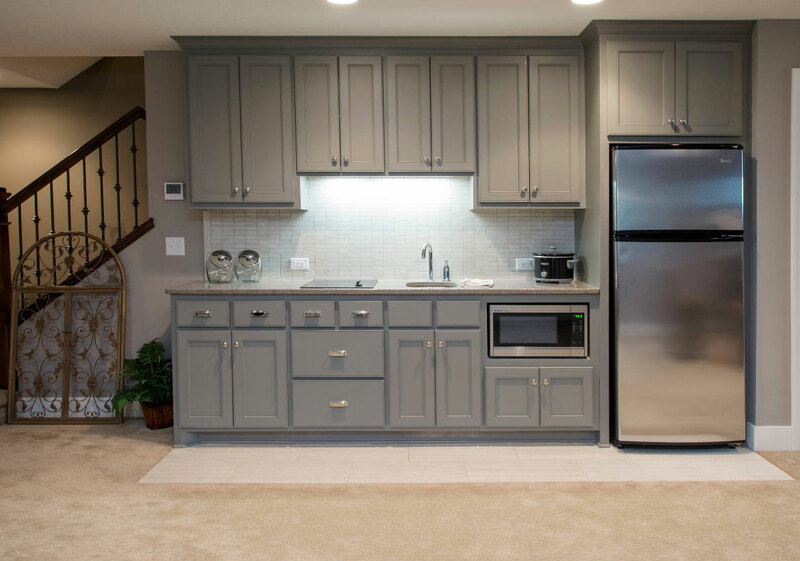 Pretty blue/gray color on these basement kitchenette cabinets. 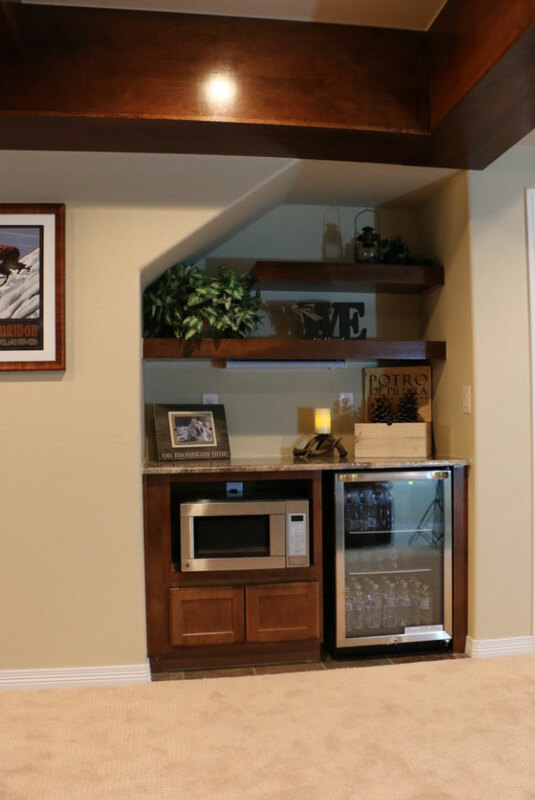 Perfect wet bar for your cabin get-away. 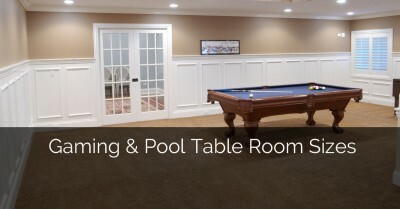 What a great area to have in your basement. Cabinets are so rich and warm. This room has a subtle beach feel. 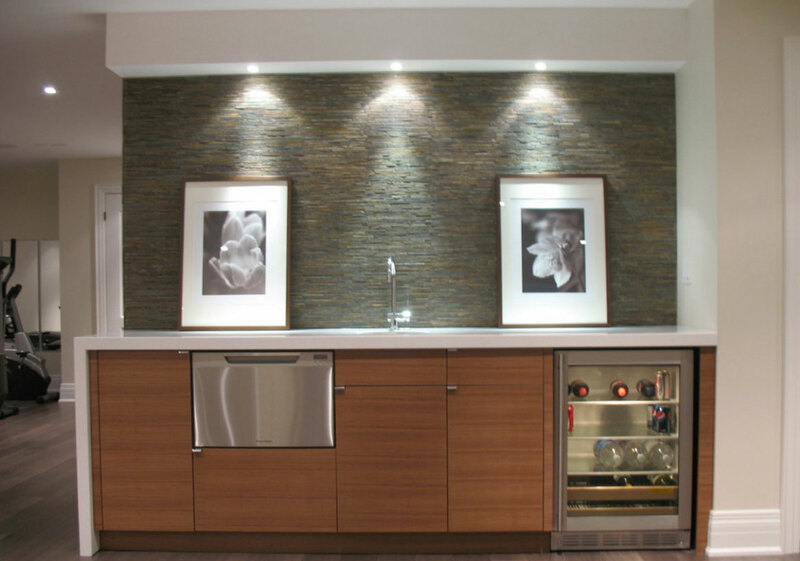 Great lighting in the wet bar area. 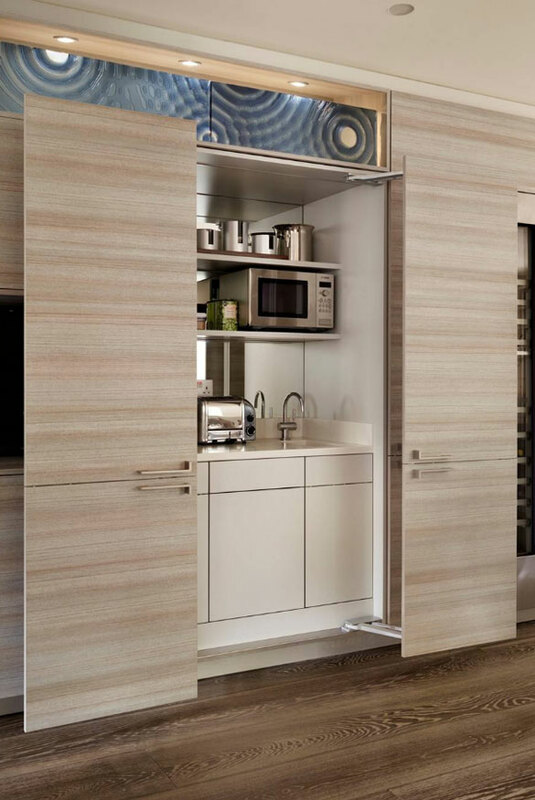 While technically a kitchen–this concept could be easily transported into a corner of a basement as a kitchenette. 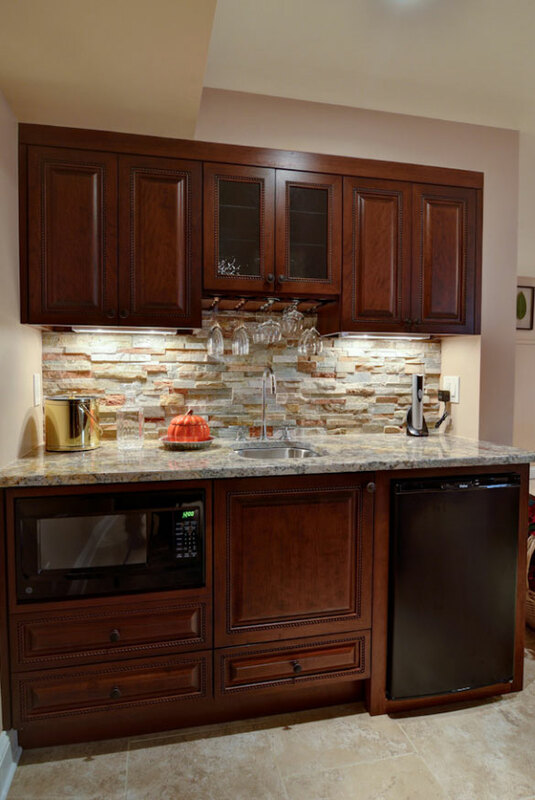 This kitchenette features warm cherry cabinets and a gorgeous stone backsplash. 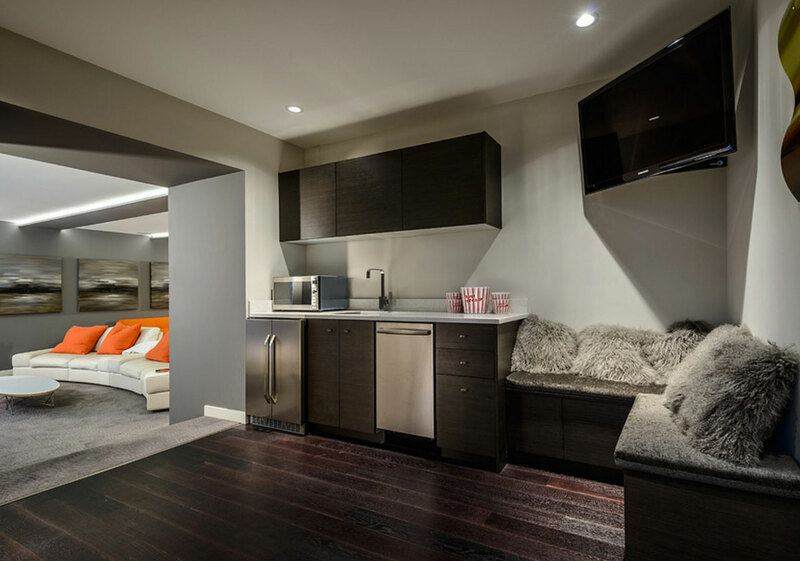 No problem relaxing in this basement–great kitchenette! What a fresh & fun space. Those light fixtures are so different! 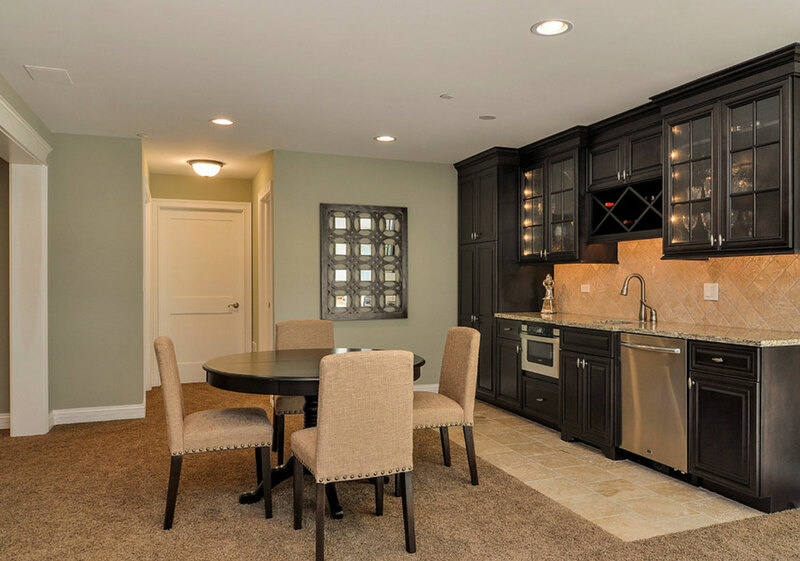 What a great basement kitchenette area–so much storage! 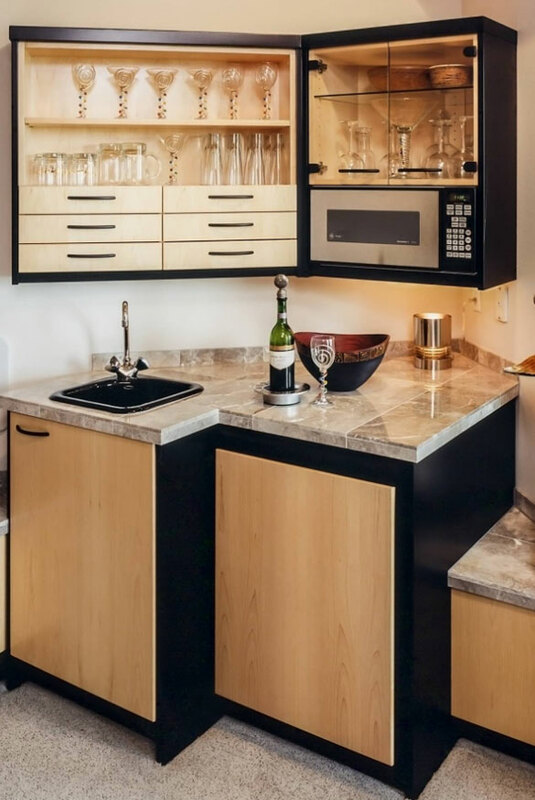 This kitchenette definitely has a lounge vibe. Love the blue accent tile and how it is tied into the rug. 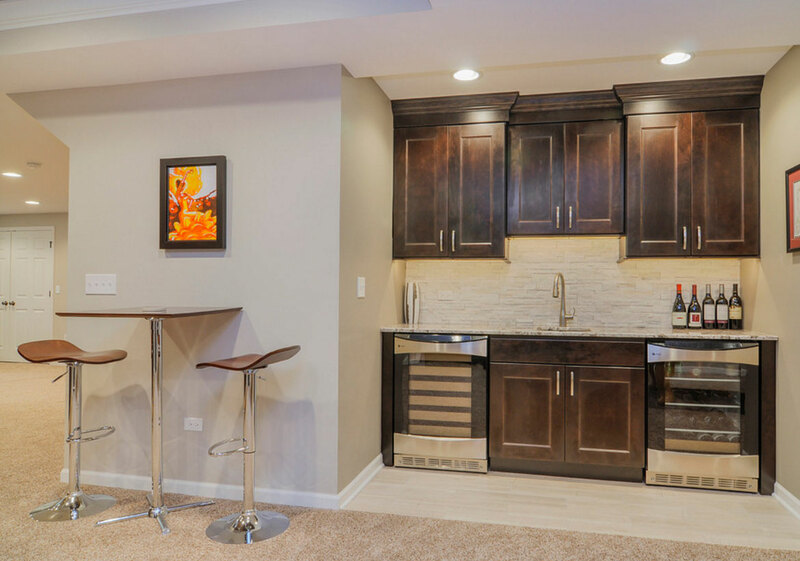 This basement kitchenette featuring dark mocha cabinets has just what you need to host some great parties or enjoy a movie with the family. What a great gathering spot. This taupe/gray cabinet color is not something you see every day. 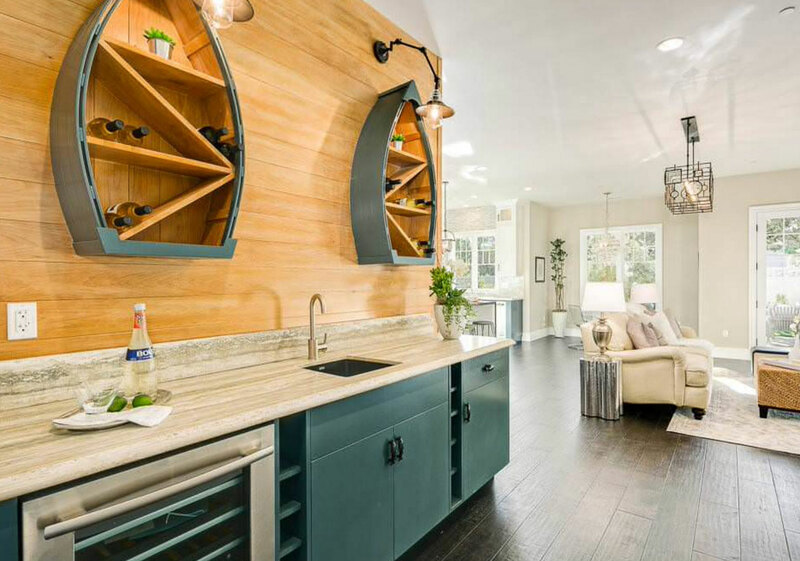 Nice layout–like the crisscross wine storage. What a cute & functional area tucked away in this cottage. 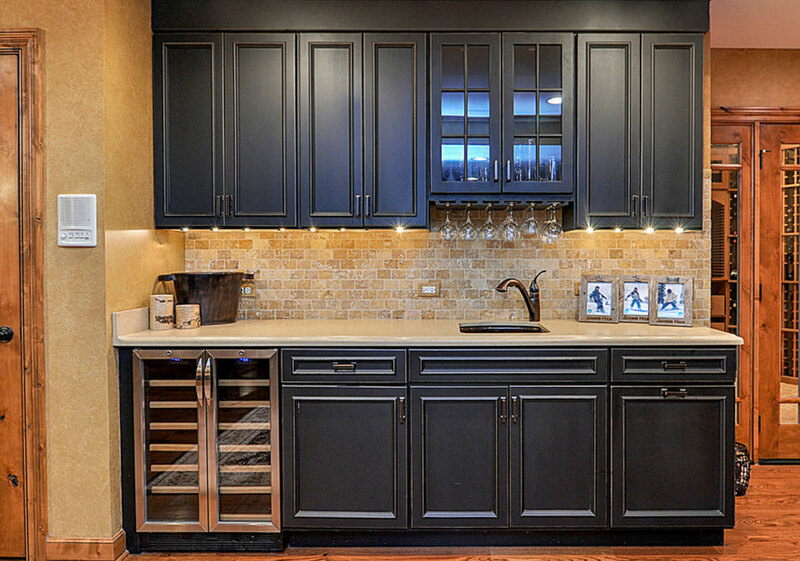 Love the backsplash and cabinet handles. 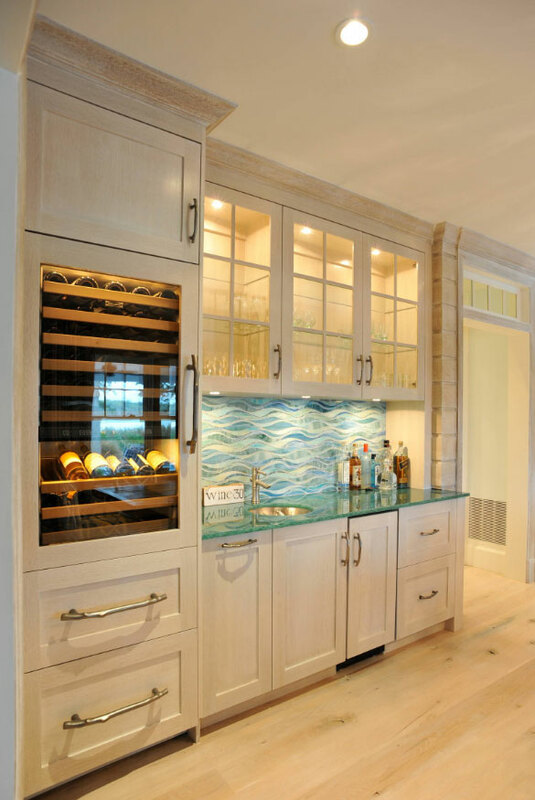 This is such a great traditional wet bar area. Gorgeous floors and cabinetry. 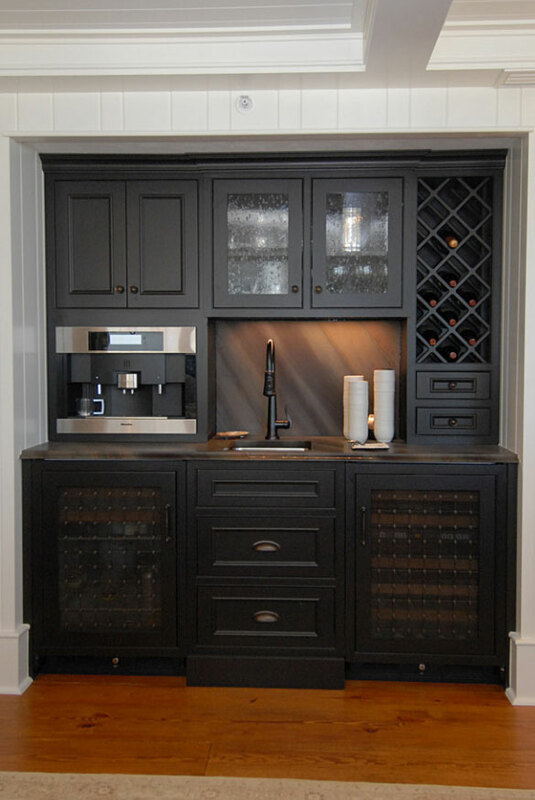 So nice that this wet bar includes a built-in espresso machine. Love the open wood shelving. Nice & clean–you have everything you need here. 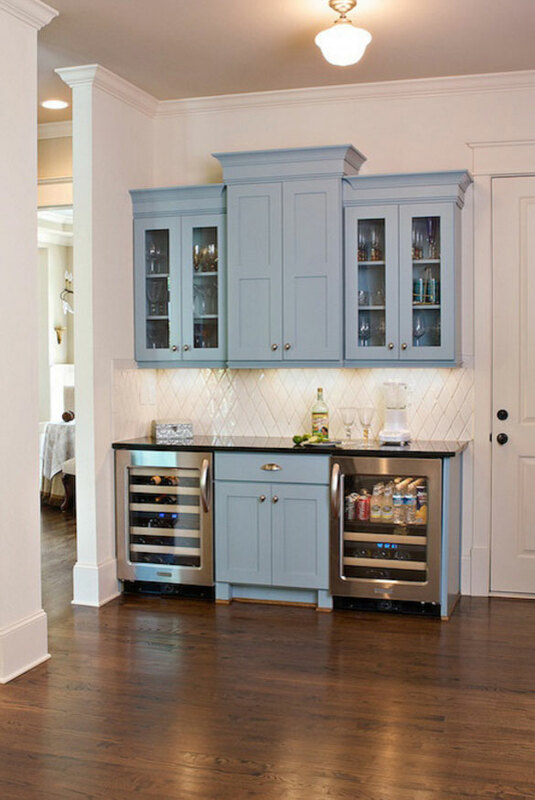 Not one, but two wine fridges–great wet bar area. 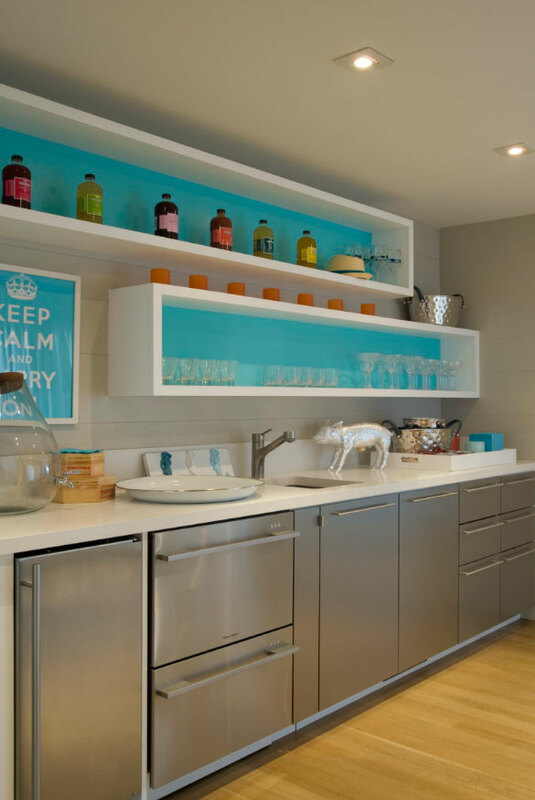 This kitchenette is so bright and cheerful! 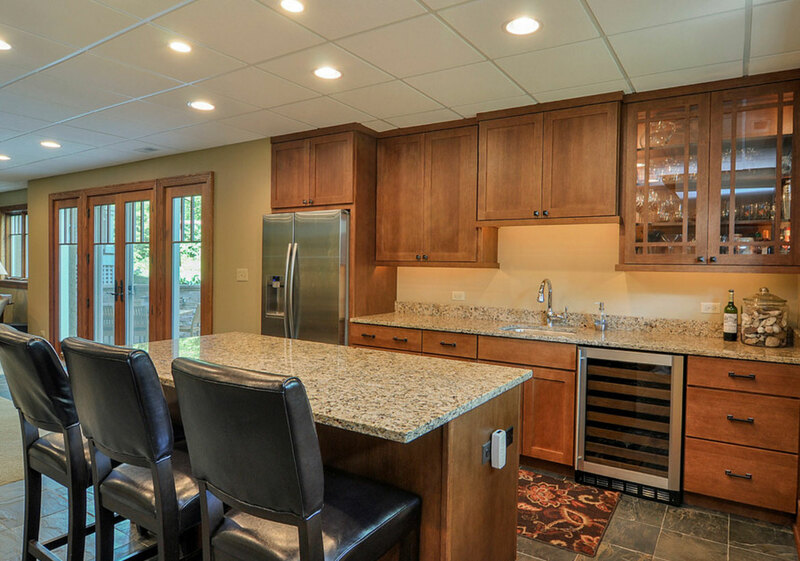 A great expansive wet bar area! Perfect for entertaining. Open & sleek. You could easily add a microwave and you area good to go! Love the blue color on these craftsman cabinets. Wonderful pop of color. Very contemporary. This smart basement kitchenette even includes a small burner. 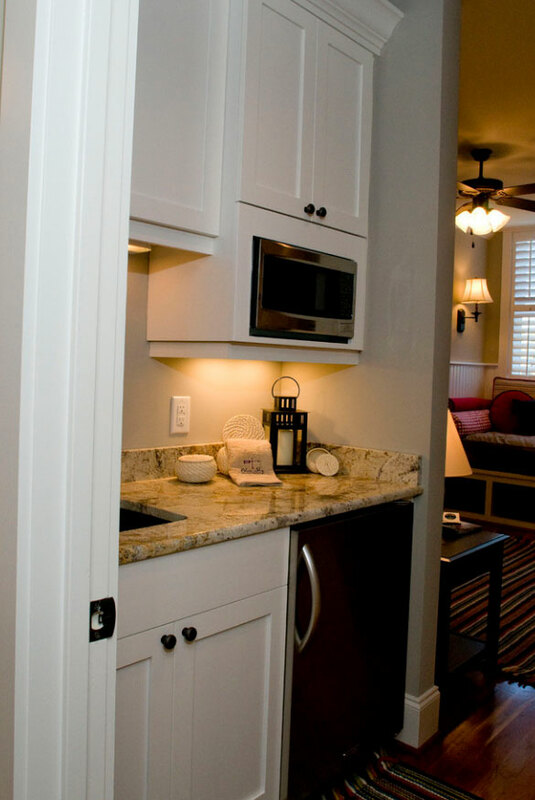 This in-law suite boasts a great kitchenette. Parents renovated a part of their townhouse as a small apartment for their college-age daughter–sweet! First thought: this kitchenette seems so warm. What a great addition to a basement. Great for guests or grabbing a quick snack while watching TV. 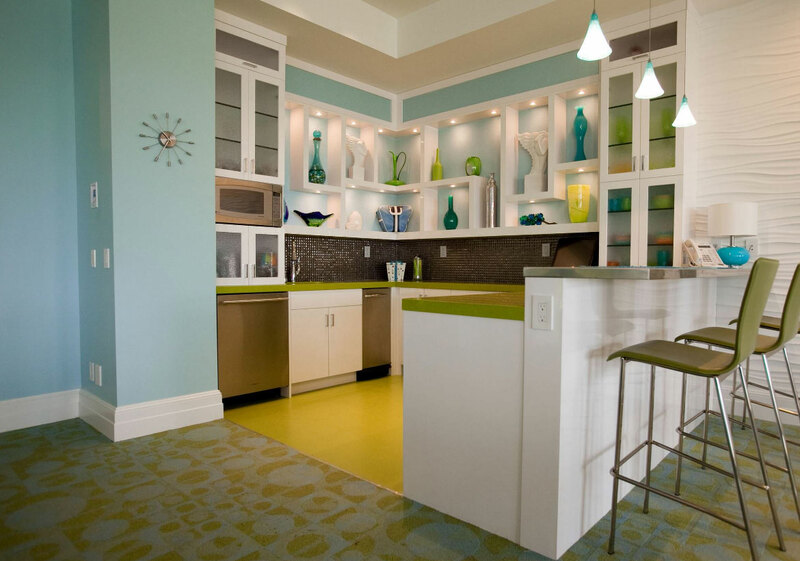 Great bright beach home kitchenette! Washer/dryer not too far away so you can also be productive! Great that you can hide this neatly away. Small and compact, but gets the job done! Beautiful basement kitchenette in this cabin off the lake. Love the color of the cabinets. 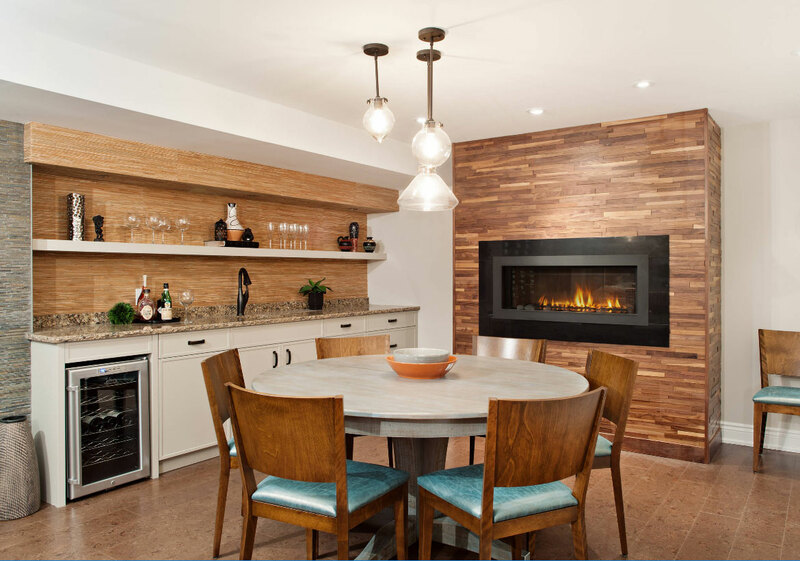 This looks like such a warm and welcoming space to entertain friends and family! 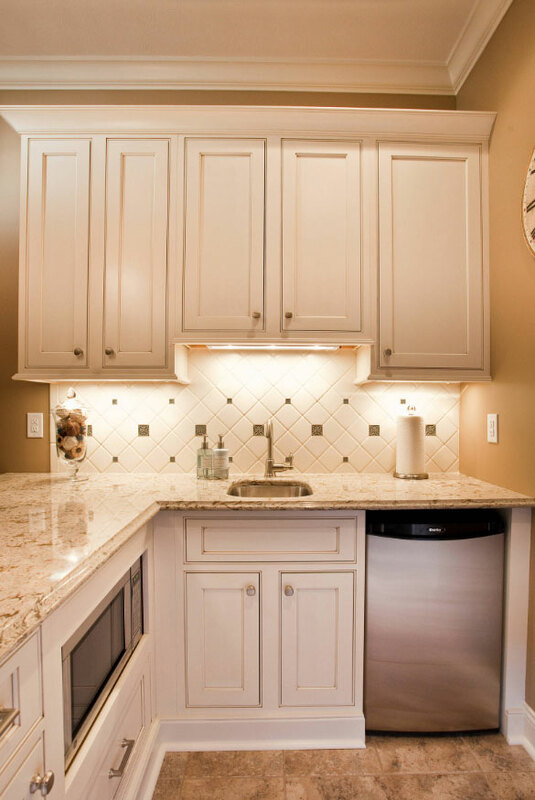 One of the things homeowners ignore when designing a basement kitchenette is maintenance. Simply because you have added space to your home does not mean that you have to saddle yourself with even more endless cleaning. Keep things simple and use materials that are easy to clean. 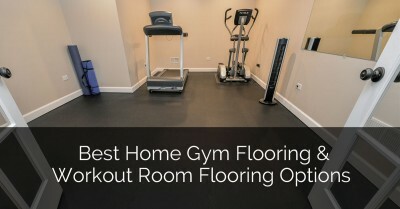 For the flooring, materials like vinyl and tile are great. 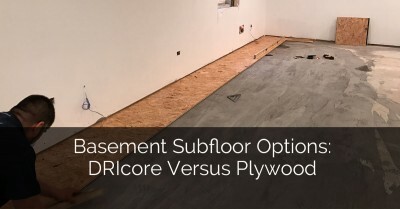 Wood is not so advisable considering that a basement is likely to be more humid than the rest of the house, which makes it a bit harder to maintain. For the countertop, choose laminate, quartz, recycled glass and other low-maintenance materials. When it comes time to paint the walls, neutral colors are better. Colors like beige, gray and white create a light and airy atmosphere that can be helpful in space where space is limited. 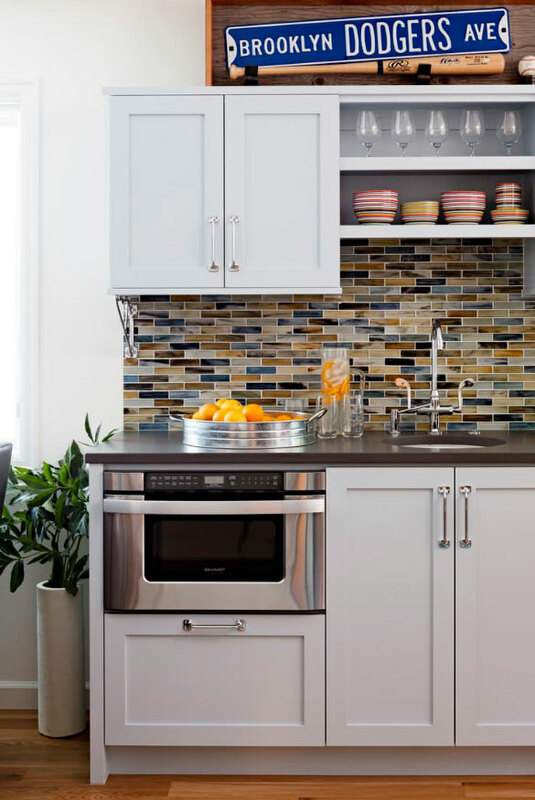 After you have chosen the main color, use the cabinets, countertop or backsplash to create a contrasting accent. For example, off-white walls with gray cabinets and a warm toned countertop. 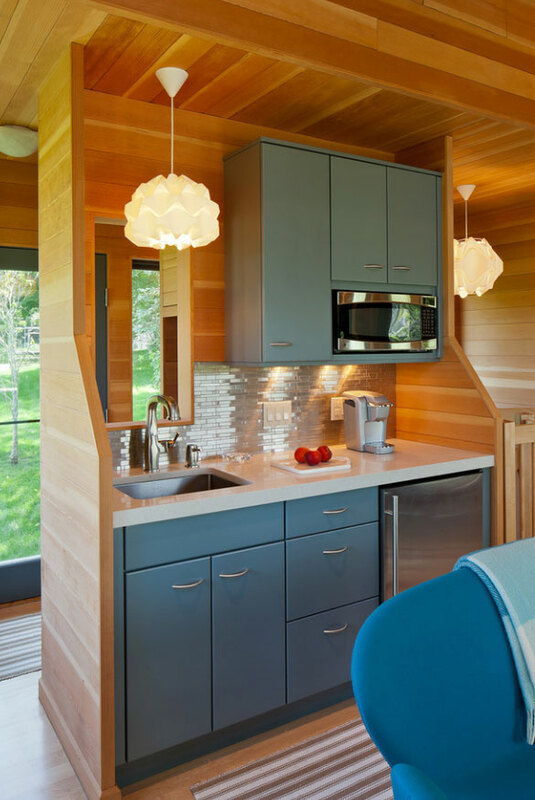 Hopefully this kitchenette image roundup will provide inspiration on what colors will work best for your project. 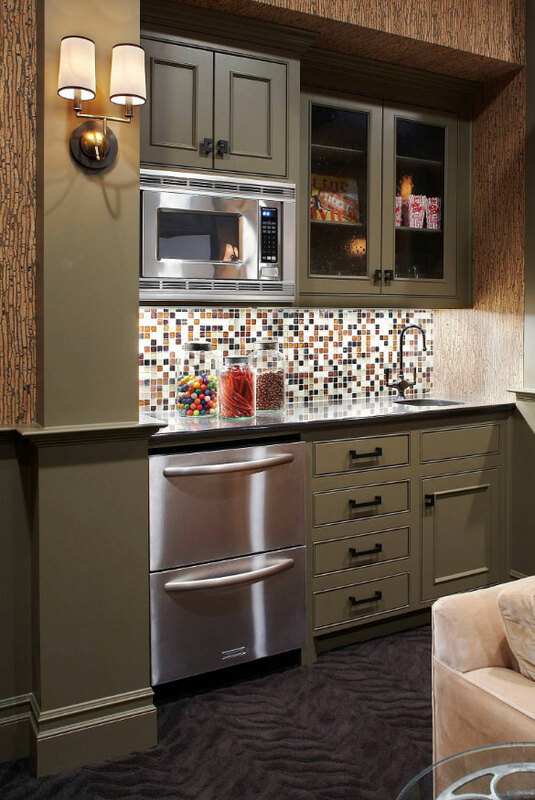 Another great idea for a basement kitchenette is to use movable furniture. This allows the space to be quickly reconfigured and can even be made smaller when you need extra room for some other activity. This comes in handy for smaller multi-purpose basements. While the bar provides a good place for sitting and dining, it does not always work so well for large families. If you have the space for it, consider adding a larger dining area to the side. This provides more comfortable sitting for formal dinners and can be handy when you have friends over. It is tempting to try and include everything in a kitchenette, attempting to turn it into a full mini-kitchen. But instead of a full functional kitchen, you will be left with a stuffy and cluttered space that no one enjoys. Instead, keep everything to a bare minimum. As for the appliances–no more than three or four large ones. The most important ones are a mini-fridge (or a full one if you have the space), a microwave and a coffeemaker. If you have the space, you may be able to add a few additional small appliances. Do not be tempted to go overboard with the cutlery. It will make it easier to maintain the kitchenette. The same goes for food items. Keep only a few snacks, beverages and things like coffee and tea. Keeping things simple ultimately leads to a better and more practical space. While the main kitchen is associated with lots of stuff and lots of work, the kitchenette becomes a convenient quiet sanctuary to enjoy a cup of coffee or treasured family time. 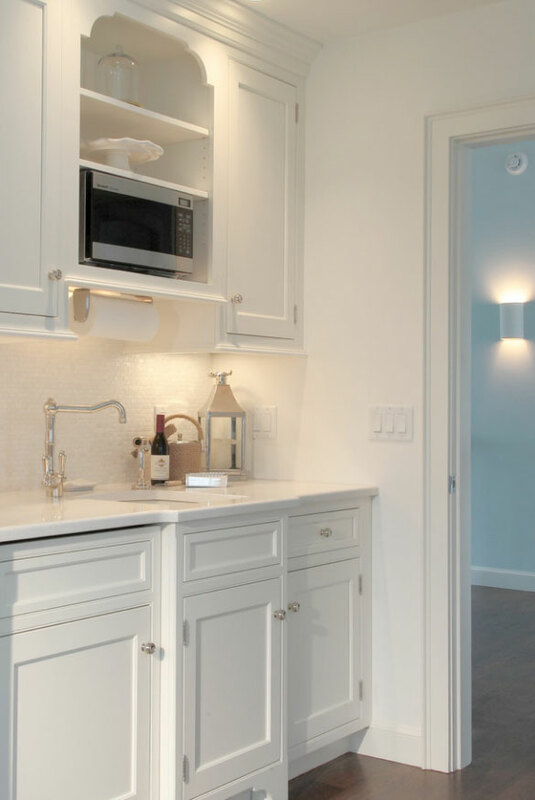 While the kitchenette should have its own recognizable signature style, make sure it blends with the overall basement style. The transition from the rest of the space should be smooth. Try to have one overall theme (vintage, modern, country, mid-century etc.) covering the entire basement. 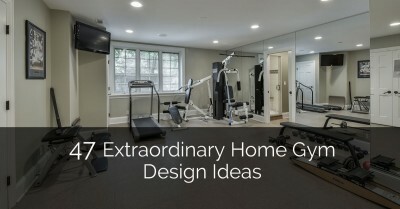 Many home improvement projects today are about creating personal areas away from the everyday bustle of the house. There are renovation ideas such as man caves, kid-caves, wine cellars, personal galleries and so on. 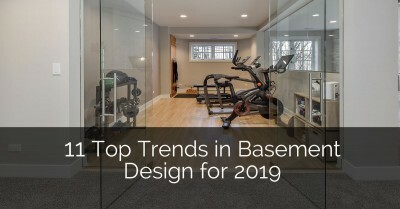 The basement kitchenette joins this list as a space designed not so much for its practical uses, but for its benefits as a personal or family retreat to relax and recharge. 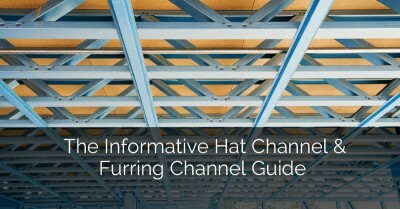 Thank you, I’ve recently been looking for info about this topic and yours is the best I’ve came upon across until now. Great article and some wonderful tips! 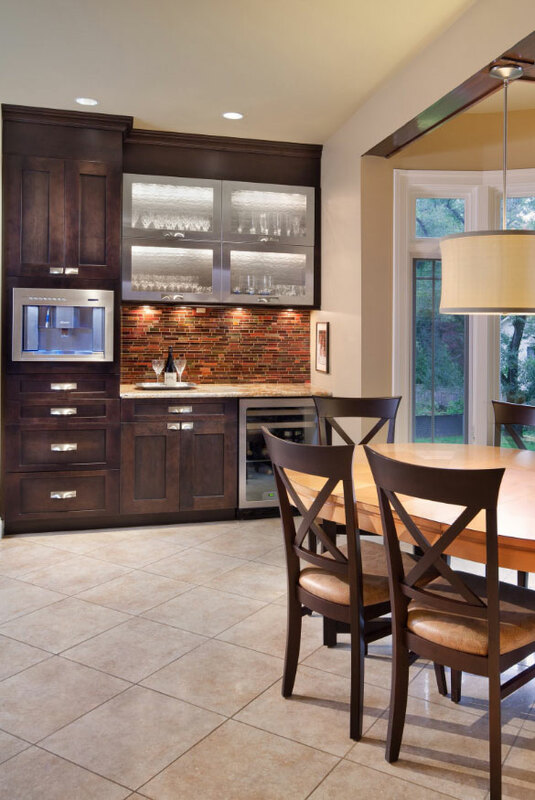 Remodeling the kitchen is priority number one for most homeowners. 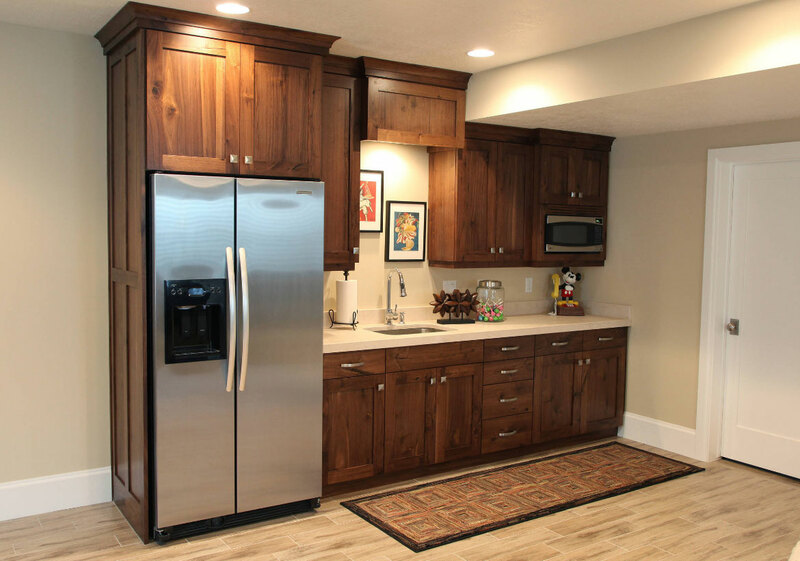 With all the money, time and temporary inconvenience that a kitchen remodeling project entails, it’s very important that you be happy with the finished product for years to come. This article is full of great information. 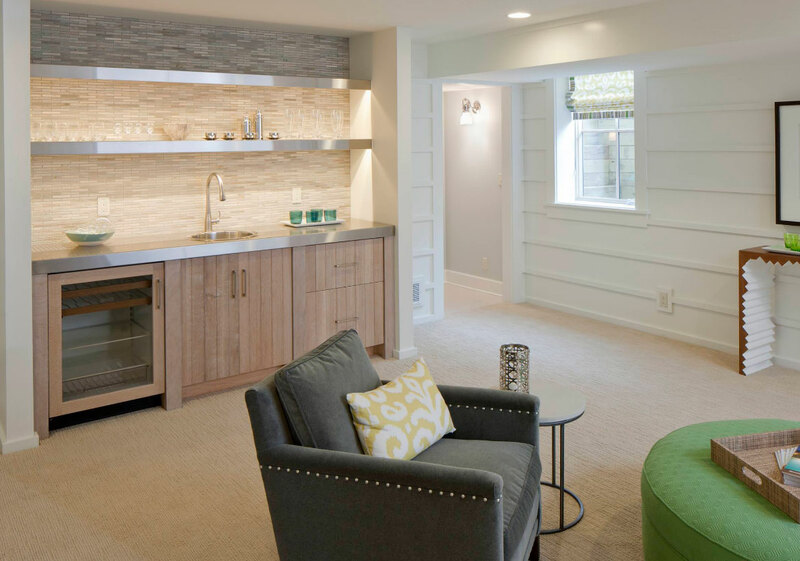 Breaking down the remodeling process can even transfer into building the home from scratch! I will be sure to pass this article along to my clients. It will be a great tool to keep them grounded through out the process. It’s good to know that we need to focus on getting our basement finished before considering installing a kitchenette. However, this gave my husband I some things to take into account when our basement gets remodeled. We’ll have to make sure to plan for sprinklers, smoke alarms, and an escape route. Hi, about how much would it cost to put in a very small kitchen similar to the movie night one for a basement? It really depends on where you are and what type of materials are used. I would recommend getting a quote from a local contractor or design build company in your area.